If you haven't yet heard of Angel Haze or taken the time to listen to her music, stop what you're doing and pay attention right now: This is your opportunity to experience her flawless and raw talent. In a new appearance at BBC 1's Live Lounge, Angel Haze performed an epic cover of Jay Z and Beyoncé's "Drunk In Love," — and managed to give the song her own personal spin by adding her own touch to Beyoncé's original lyrics. Though the song was original a duet between Jay Z and Beyoncé off of Beyoncé's most recent self-titled album that I'm sure you've heard of, Angel Haze takes on both the role of Beyoncé and Jay in the song, leaving only a few vocals to a back-up singer next to her. It doesn't sound much like Bey's original track, but that's the beauty of this — at only 22 years old, Angel Haze takes the song to an entirely different level and makes it her own, a difficult feat for a song originally performed by someone with the vocal range Bey has. You can check out the full cover below. 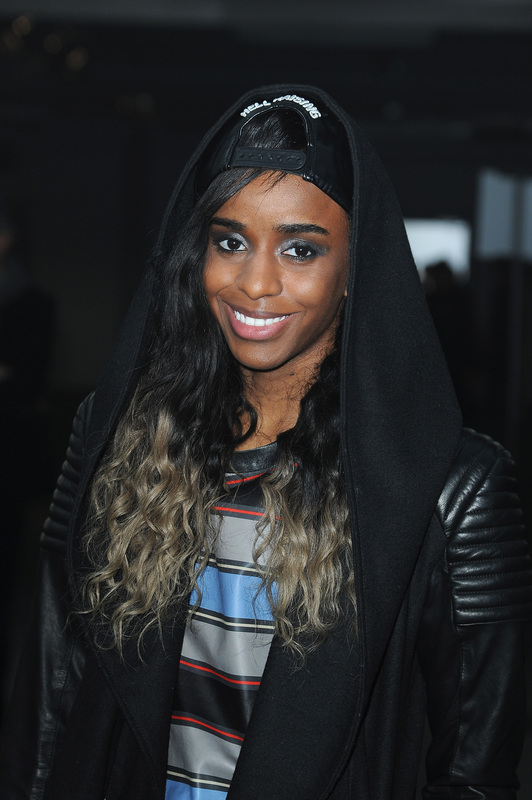 After, Angel Haze did recently release her first album, "Dirty Gold," which is available on iTunes...just a suggestion.